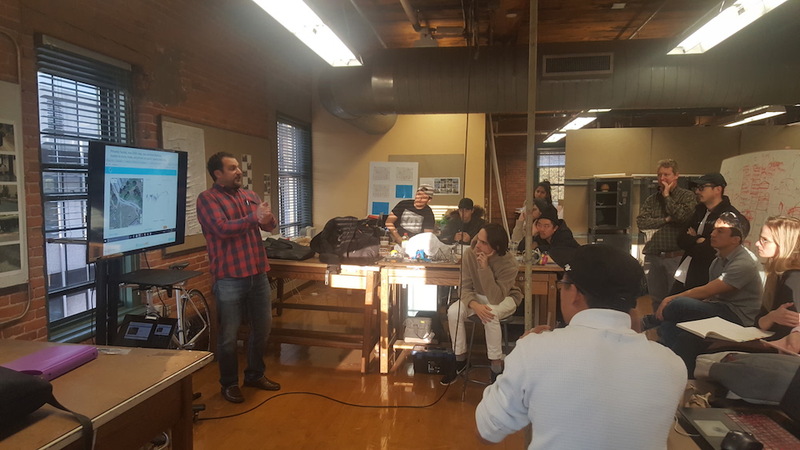 ImpactLABS recently lead a workshop on Design for Resilience with Digital at the Rhode Island School of Design (RISD). At RISD, one of the most prestigious design schools in the world, traditional disciplines are blurring. Digital is emerging not only as a tool or experience but as an asset to be accounted for in product, project, and program definition. We are taking on more opportunities to share our experiences, made possible by the tools and teams from our sponsors and partners in the field with IoT. Our first workshop at RISD was more inspiring than we could have imagined. Chris Rezendes and Jon Rezendes took the students through a number of ImpactLABS models for instrumenting the physical world for resilience. New rules in DRM: reinforcing the place of primacy in digital rights management of the individuals and SMB enterprises that own and operate the parts of the physical world that need to be instrumented. The value of data: operationally, financially, socially and then in shares, trades, sales with customer/ revenue, risk/ insurance, capital/ financial partners. We taught a little, and learned a lot. Most inspiring for ImpactLABS was the experience, energy, and commitment the teams showed to merging social impact with the traditional operational and financial metrics of successful form and function. The task that lies ahead is to simplify the complexity of our challenges by recreating the largest and most complex systems on the planet: climate, environment, natural resources, infrastructure, food security, SMB industry 4.0, and smart cities. This will require collaborating with centers of education across disciplines to refine and apply a new pedagogy. Heading into the future, we will continue refining ImpactLABS models, as well as pairing up with RISD students, instructors and program teams. We will deploy more, commercialize, and scale revenue at margin by supporting customers who will prove operational, financial and social impact. RISD students and instructors are as smart and creative and strong as advertised. We loved the energy. We cannot wait for the next.